Celebrating the yuletide spirit is a global activity that transcends location, age and even religion. All kinds of people in all kinds of places celebrate Christmas in their own way around the world. In Scandinavia, it’s all about snow, reindeer and cosy fireplace hearths. In Australia, Christmas means backyard barbecues, cricket in the park and trips to the beach. 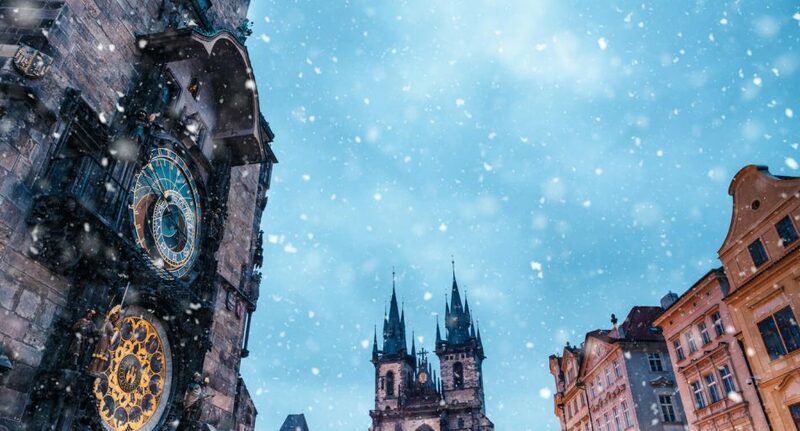 It can be an exciting adventure to travel somewhere new during the holiday season, so ask yourself: if you could go anywhere in the world to celebrate Christmas, where would it be? Switzerland is one of the most civilised countries on earth and Zurich has all the ingredients for a memorable ‘winter wonderland’ holiday – plenty of snow, cobblestone streets and a wealth of Christmas markets spread all over the city (there’s an excellent one inside the main train station). The Eternal City is a magical place in December, with elaborate nativity scenes on show in a number of locations including Piazza Navona, St. Peter’s Square and Santa Maria Church on the Capitoline Hill. What’s the best way to describe Christmas celebrations in Tokyo? The phrase ‘totally different’ certainly comes to mind. It’s a blinding spectacle of dazzling lights, excessive decorations, buzzing neon and a complete absence of religion (Christmas Day isn’t a holiday in Japan). Christmas Eve is celebrated a bit like Valentine’s Day – it’s a night geared toward romantic couples. If you need to do some Christmas shopping, head for Ginza or Shibuya, where you’ll find more department stores than you can count. Christmas in Austria is very traditional with handcrafted ornaments, elaborately woven wreaths, nativity displays, sleigh rides and classical music concerts. Both Salzburg and Vienna offer a superb Christmas experience but if you want to avoid the big crowds, a smaller city can often be fun too. Stunning Lake Bled is one of the most picturesque places in Europe at any time of year but over Christmas it’s truly mesmerising, with lit-up castles towering above the shimmering lake and snow-capped hills creating a romantic backdrop. At the Public Lido, marvel at the largest permanent nativity scene in Slovenia – the ‘Christmas Crib’. Try your luck at ice skating at the ‘rink with a view’ at the Hotel Park. Every year, thousands of locals and foreigners make the pilgrimage to Bethlehem to gather in Manger Square, where Midnight Mass is held at the Church of the Nativity on Christmas Eve. This Quebec city maintains a strong French flavour, so you get the best of both worlds: a traditional, European-style Christmas combined with the friendly, outgoing hospitality that Canadians are famous for.